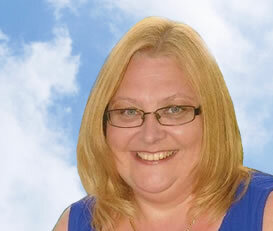 Hello, My name is Janice and have been working in the Travel Industry selling holidays for over 20 years. Being totally independent means, I am able search our large selection of leading Tour Operators, finding that perfect holiday, and at the best possible price. I sell all types of holidays, including tailor-made, cruises, families holidays, flights and more. There really isn't a better career for me, I love to travel and have a real passion to travel to new destinations, sharing with my clients along the way. Whatever your holiday requirements are, I will be able to help and look forward to hearing from you. We would both like to say once again what a great time we both had on our holiday. We would just like to say that once again Janice was wonderful, she looked after us from the time of booking to us going. She is an asset to your company. We would not hesitate to recommend Janice to our friends and family. Can you please make sure she is recognised for the brilliant work that she does. We are both looking forward to our next holiday in September. We have no doubt that with Janice on our side we will have another wonderful stress free holiday.